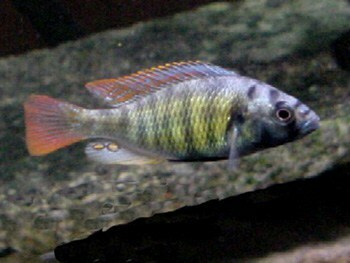 Compatibility: Combine with other semi-aggressive African Cichlids, can be kept with some Lake Malawi species. 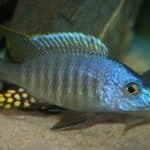 Breeding: Haplochromis sp. 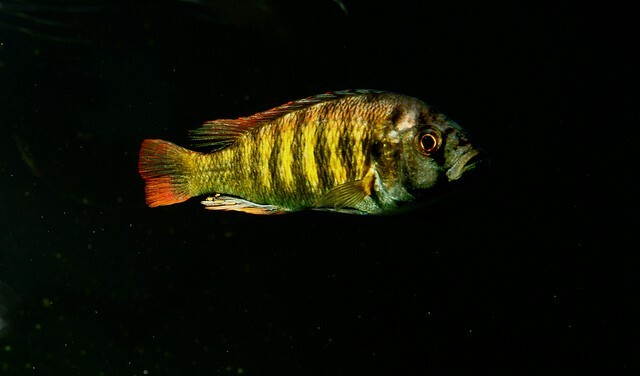 “#44” Thickskin are maternal mouthbrooders like many of the African Cichlids. 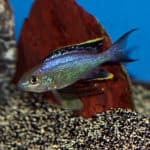 The male will entice a mate and as the female lays her eggs he will fertilize them. The process continues till all the eggs are fertilized and the female holds them in her mouth for 3-4 weeks during which time she does not eat. 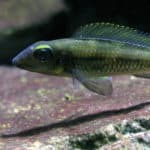 Additional Information: This fish is actually more commonly available than it seems at first as breeders and shops often sell it under the false name of Haplochromis Obliquidens. 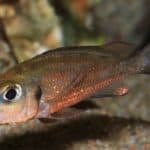 This Victorian species is rather aggressive so tank-mates should be selected with care and are best limited to other African Cichlids who can hold their own. 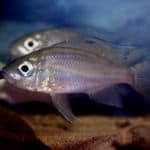 Along with aggression this is a species that can easily crossbreed so avoid keeping females of other Lake Victoria species with this fish. Males of a similar colour and pattern should also be avoided. 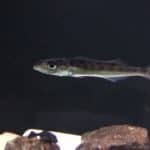 Haplochromis sp. 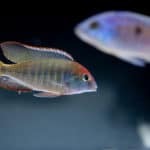 “#44” are beautiful fish and if kept with appropriate tank mates in a suitable set-up, hobbyists can reap the rewards of this amazing fish. 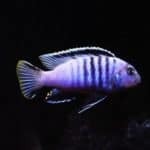 This entry was posted in Profiles Tropical All Fish, Profiles Tropical Lake Victoria Cichlids.